1 Man Auger Rental – Ground Hog 1M5C, is available for rent in Rochester NY, Ithaca NY and the entire Western New York region from the Duke Company. 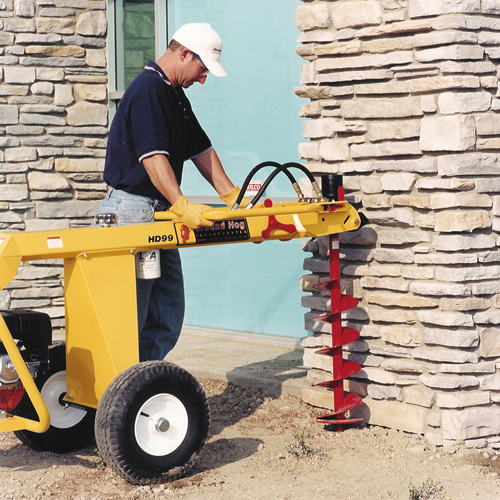 The rental Ground Hog 1M5C one-man auger, available for rent,has the equivalent power of a two-man auger. Large pneumatic tires make this auger highly maneuverable around the job site. Operator controls are convenient, and handlebars enable pivots to a wide-range of positions for normal and close digging.